We're at that awkward stage in the fashion cycle where it's nice and toasty outside and most retailers are already starting to fill their shelves with pre-fall and autumn winter clothing. You would think people would have figured this whole thing out by now. Let's sell summer clothes in summer and winter clothes in winter. Yeah, not gonna happen in my lifetime. So what I'm trying to do is look at all the pre-fall arrivals and see what you can purchase now, wear now, and keep wearing through the colder months. The first in that series of purchases comes from ASOS. 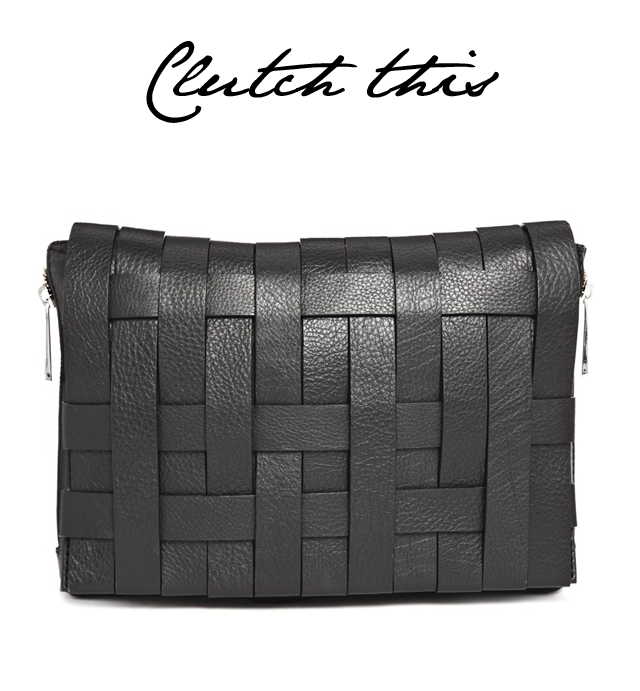 When I first came across this leather weave bag from ASOS it was an easy love. It's black, oversized and understated, oh, and only £50. In short, all these things make this a statement bag that will last as long as the leather holds, rather than as long as the trend plays out.